Separating parents can do their children enormous harm by using them as a "battlefield" and "ammunition", a senior family court judge has warned. Sir Nicholas Wall, president of the Family Division of the High Court, said well-educated parents were particularly adept at using their children. Sir Nicholas said a less adversarial approach was needed in the family justice system. He made his comments in a speech to the charity Families Need Fathers. Sir Nicholas said: "People think that post-separation parenting is easy - in fact, it is exceedingly difficult, and as a rule of thumb my experience is that the more intelligent the parent, the more intractable the dispute. "Parents simply do not realise the damage they do to their children by the battles they wage over them. "Separating parents rarely behave reasonably, although they always believe that they are doing so, and that the other party is behaving unreasonably." A child was not a "piece of property which can be parcelled up and moved around at will", he said. 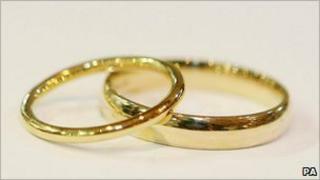 Figures from the Office for National Statistics show the number of divorces in England and Wales fell to 121,779 in 2008, the lowest number since 1975 when there were 120,522 divorces. However, half of couples divorcing had at least one child under the age of 16, with a total of 106,763 under-16s in families where the parents had divorced. Sir Nicholas said parents often found it difficult to understand that children loved and had a loyalty to both parents. "There is nothing worse, for most children, than for their parents to denigrate each other. "To use the trite phrase, each parent represents 50% of the child's gene pool. "If a child's mother makes it clear to the child that his or her father is worthless - and vice versa - the child's sense of self-worth can be irredeemably damaged." Sir Nicholas said Parliament rather than judges should decide whether shared parenting orders - where children live with each parent at different times - were to become the norm over children living with one parent and having regular contact with the other. He added: "I remain of the view that the separated parent's role in the lives of his or her children retains the same degree of importance as when the parents were living together, even if the opportunities to manifest the qualities which an absent parent can bring to his children may be limited." Craig Pickering from Families Need Fathers said: "I welcome this important contribution to the debate on encouraging shared parenting by divorced or separated parents. "Generally speaking, children do better in every way if they have two parents in their lives, and the children of separated families are no exception."